OMG. I love this deal. A 12 pack of K-Cups regularly costs $9.45. 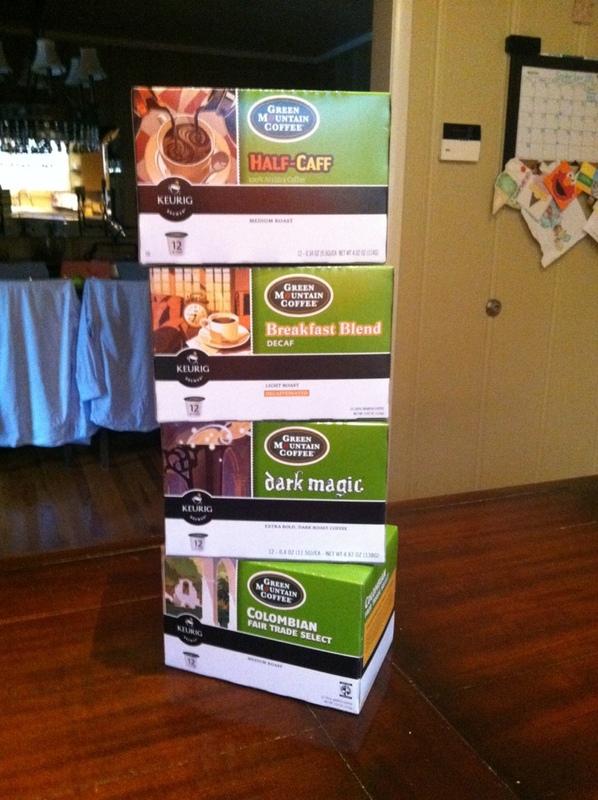 VIC customers at Harris Teeter can get a 12 pack of Green Mountain K-cups for only 5.97! BUT if you’re an eVIC customer (you must already have a VIC card) you get an EXTRA discount of $2 off!! today only (9/1) . SIGN UP HERE to be an eVIC member. There are 2 coupons available to stack on top of these great savings. I originally planned on buying 4 boxes, using 2 of the $1/1 coupons and 1 of the $1.50/2 coupons. HOWEVER, when I got to the store there were coupons located right under the display of K-CUPS for $3 off 2 boxes. I grabbed 2 of those coupons. dicount of $3.48 per box for being a VIC member. discount of $2.00 per box for being an eVIC member. discount of $6 off of four boxes for using (2) $3/2 boxes coupons.